Boulder Brands food is offering a $7 rebate when you purchase three of their items. 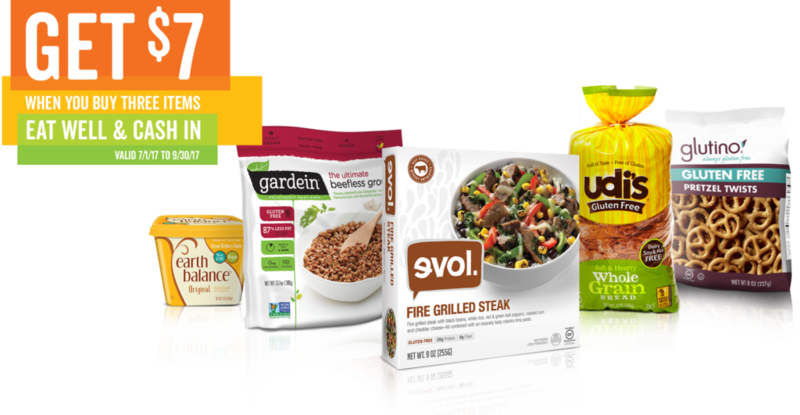 These include the brands Glutino, Udi’s, Earth Balance, Gardein or Evol. Purchases must be made between 7/1/17 and 9/30/17. You may only submit a receipt once but may claim up to three (3) rewards per person for the entire offer period. Find more information HERE. This entry was posted in Rebate and tagged Rebate. Bookmark the permalink. ← Giveaway: Win Early Entry Passes for the Let’s Grow Together Sale!